A vein is a blood vessel that carries oxygen towards the heart. Whether the blood is filled with oxygen or carbon dioxide depends on where in the body the veins are located. In the pulmonary circuit, the veins carry newly oxygenated blood from the lungs to the heart so it can be pumped to the rest of the body. 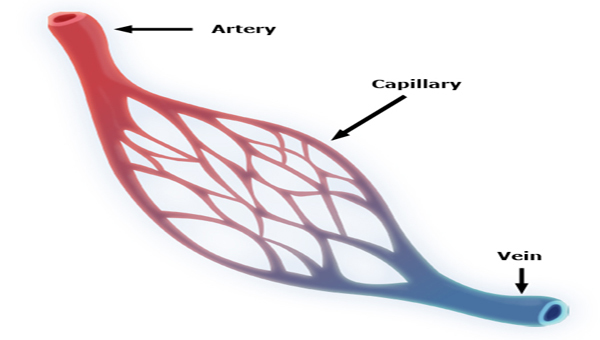 In the systemic circuit, the veins carry carbon dioxide filled blood from the body’s appendages, tissues, and organs, back to the heart so it can be pumped to the lungs to be oxygenated again.